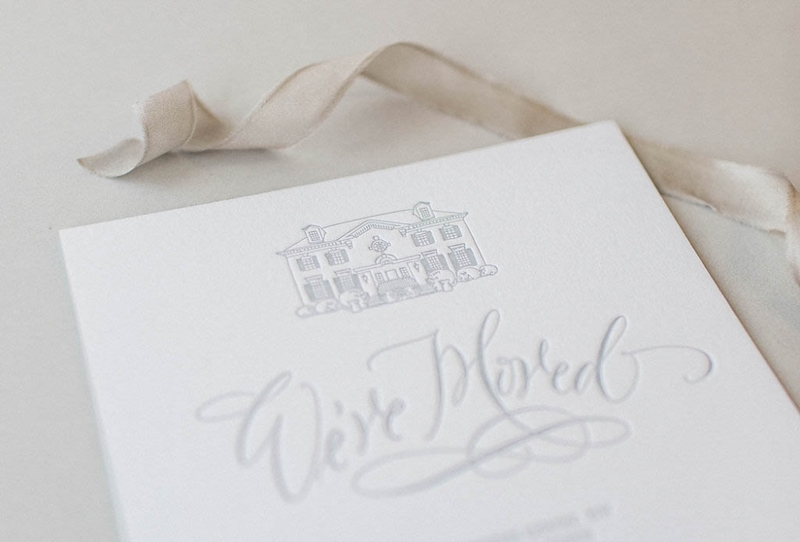 An elegant, sophisticated rendition of this family’s new home. 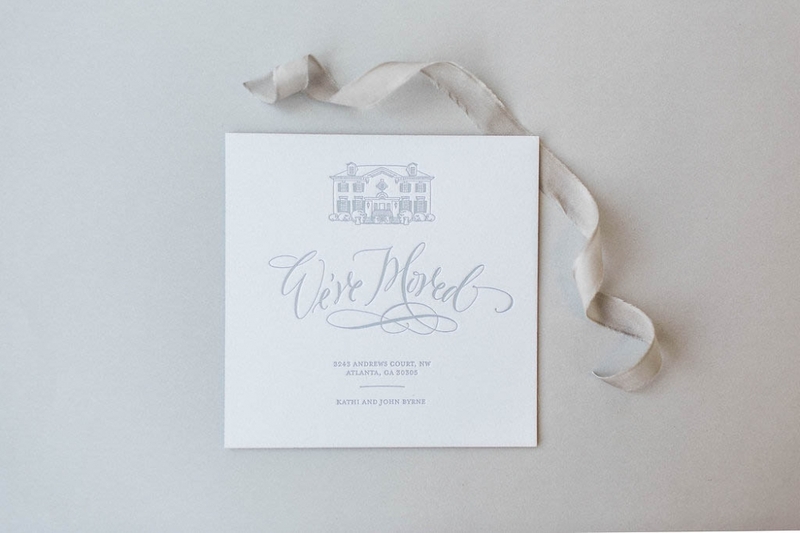 A custom illustration of the new house perched atop a design that included hand calligraphy, making this piece 100% custom + personalized. 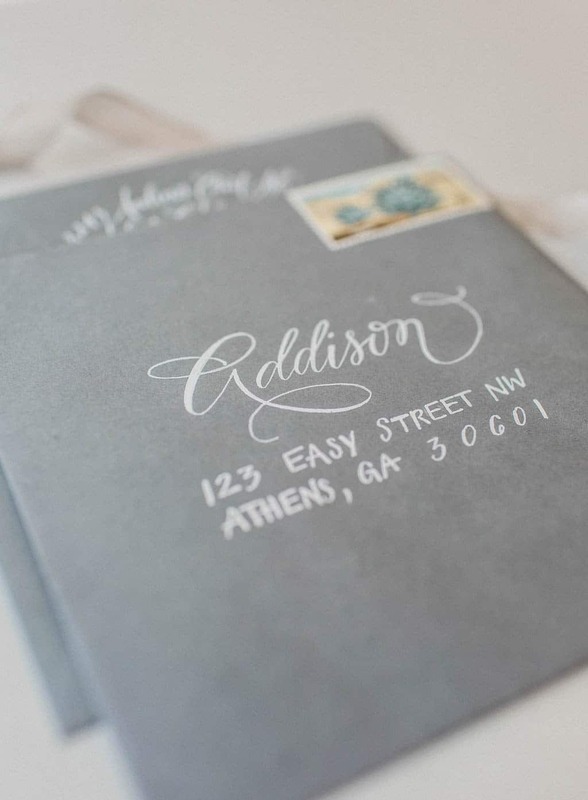 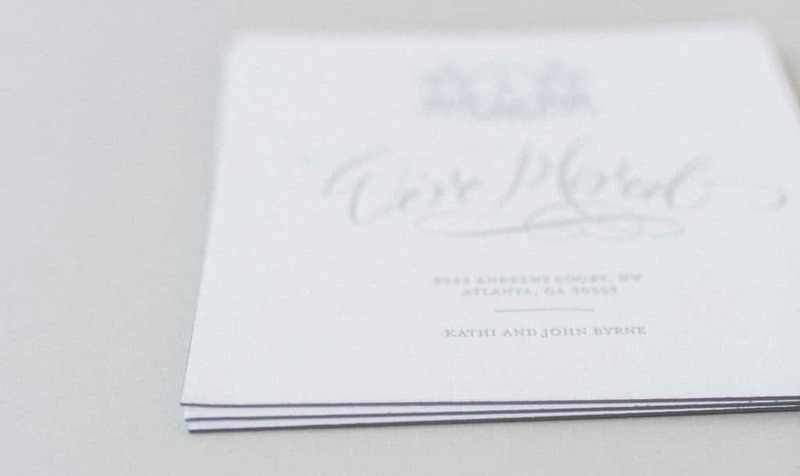 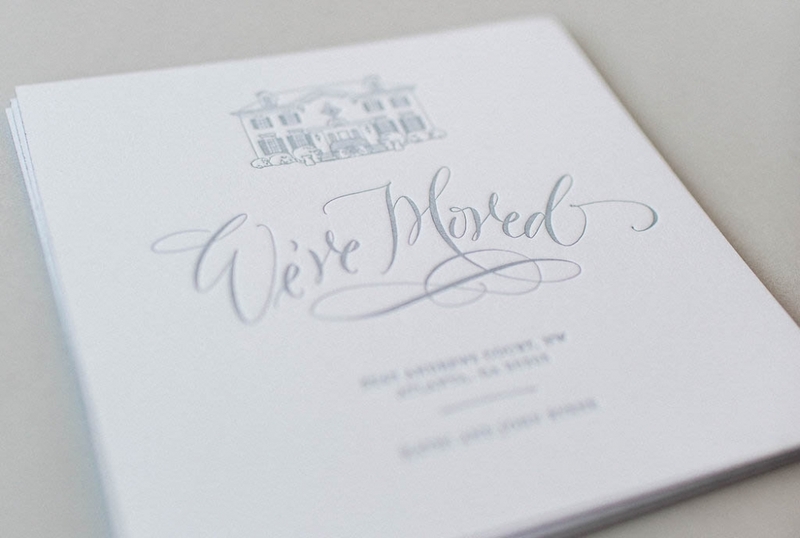 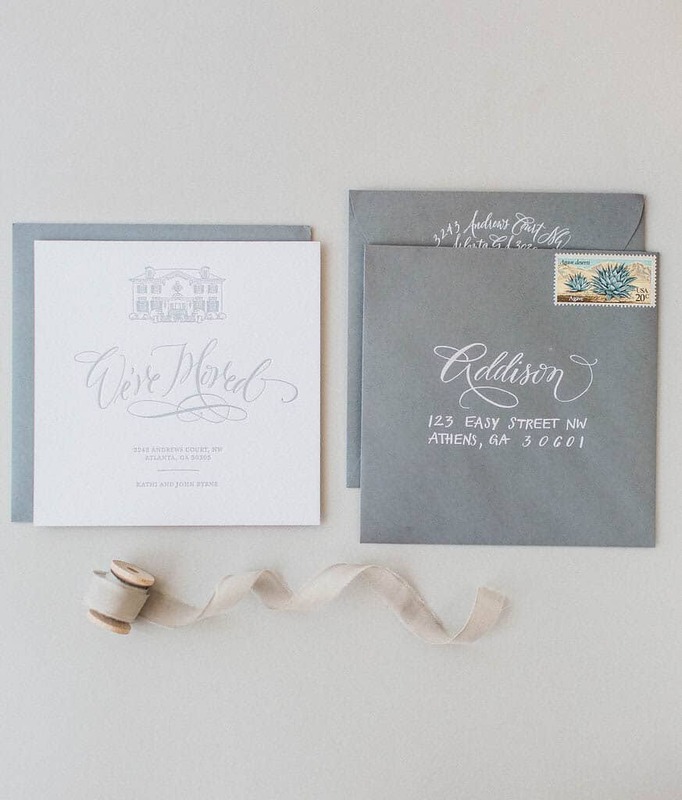 Letterpress printed in gray ink on crisp, bright white paper with matching edge-painting. 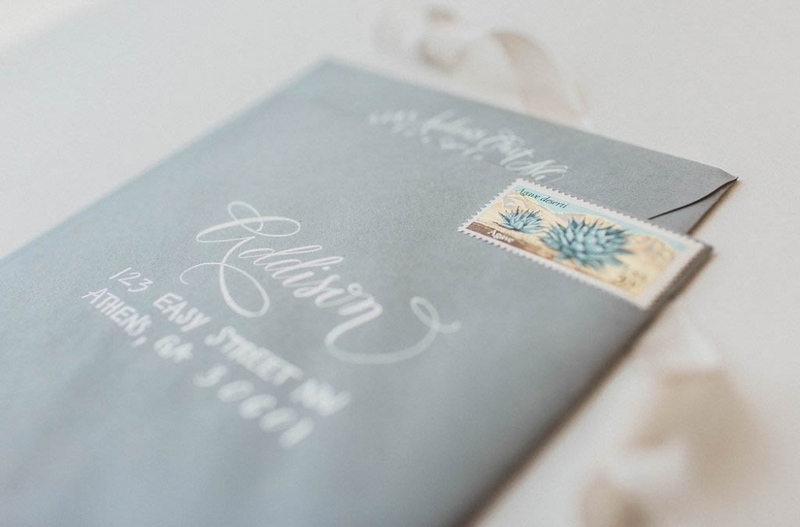 Complete with gray envelopes, a foil stamped return address, calligraphy addressing + vintage postage.